Unlike her peers however, she does not mind the teasing as much, because it is true: Banner is already a mother of two and more than grateful for the opportunity to catch up on missed education. “I want to be educated, also for my children,” she says. Her older child, a boy aged six, already started primary school. The Lutheran World Federation (LWF), in charge of education at Kakuma refugee camp, has introduced the “Accelerated Learning Programme” (ALP) in September 2016 to accommodate the needs of young people from conflict areas. Many of them are teenagers when they arrive in the camp, but have not been able to attend school regularly due to conflict and displacement. Trying to catch up on the education they missed, they share classrooms with seven- and eight year olds - a difficult learning situation for all students. The ALP combines those students in special classes. With peers their own age, they cover the curriculum of two primary school years in one calendar year. In the end they sit the national primary school exams and hopefully are able to join students their own age in secondary school. Overcrowding is a problem in all schools in Kakuma. “They are very smart and motivated, and do extremely well at the national exams,” Lillian Cherotich, the head teacher at Bahr El Nahm, says. 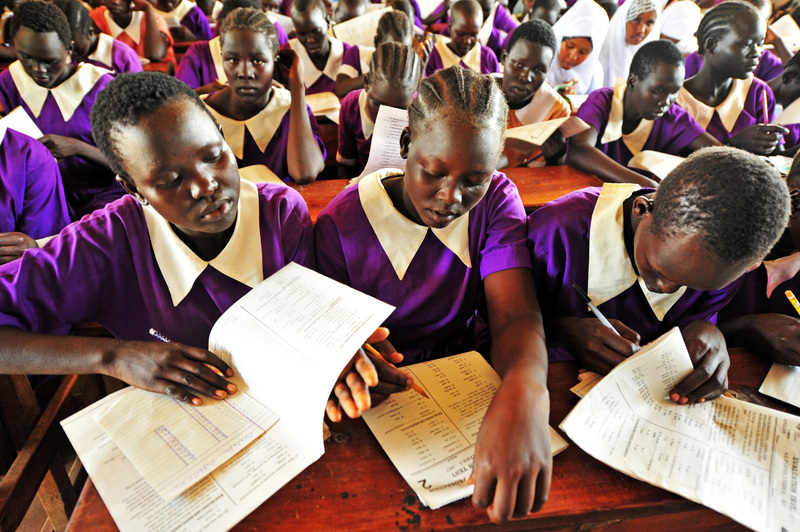 The official results of the primary exams prove her right - the students from the LWF schools in Kakuma are usually among the top ten in the country. The schools have a good reputation, enrolment is high. Which is surprising considering the learning conditions in Kakuma. Turkana region where the camp is located is extremely hot. Even in winter time, the thermometer reaches 30 degrees Celsius. In the summer it goes up to 50 degrees. During the rainy season flooding washes away the houses, there is never enough of water and food. The schools meet this need with a feeding programme - at noon, all students receive free porridge. Students enjoy a cup of free porridge at the lunch break. ALP students at Bahr El Naam Girls Primary school in Kakuma refugee camp. With the current teacher-student ratio it is hard for the teachers to support students like Banner, but study groups among the ALP students and their motivation make up for a lot. Banner appreciates her second chance at getting an education, realizing that this would be impossible in her home country. 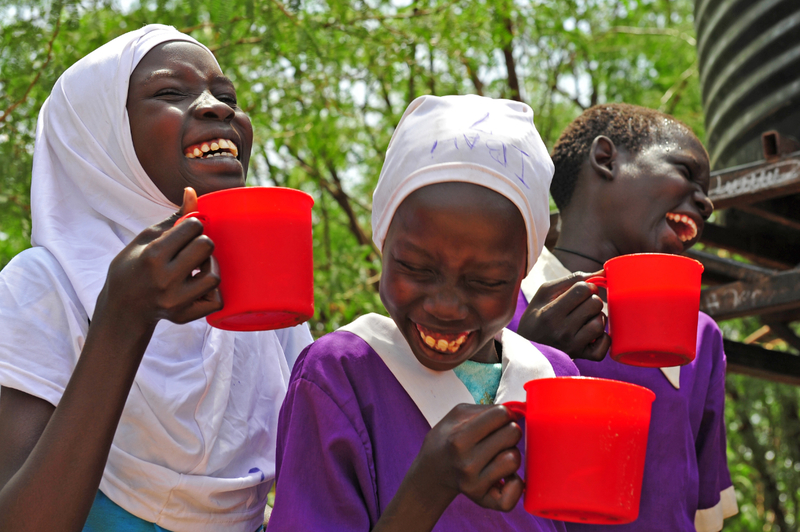 “I receive so many things here in Kakuma. 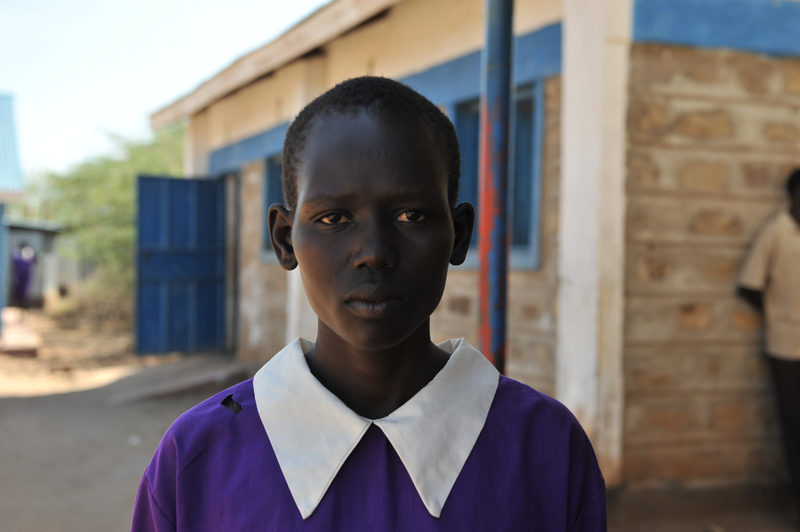 I can go to school - I do not think that would be possible anywhere else,” she says.